Most diet pills aren’t FDA-approved! Are you taking unnecessary risks? Weight loss diet pills are still considered a good way to get slim despite the health risks they present, because of the fantastic appeal of easy weight loss. Many people would do anything to get rid of unaesthetic fat fast — like right now, if it’s possible — and if there is a lazy way out, they’d gladly try without questioning whether that approach to weight loss works. This is why people are ready to take questionable pills so long as they think there might be a remote possibility they will lose at least a few pounds with no effort. Also, those who have been struggling to lose weight for a long period of time can be especially tempted to resort to diet pills because they view them as a last hope. Are people unaware of the great risks associated with weight loss pills? Or perhaps they chose to ignore them? It is very important to realize that diet pill dangers are real and can be very severe. Here are some of the health risks you expose yourself to if you take diet pills. &star;&star;&star; Increasing your metabolism helps to burn calories naturally, a definite plus when you are trying to lose weight. You can do that easily with ThinMist weight loss spray. 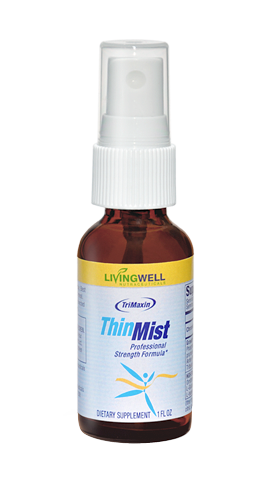 ThinMist is actually a dietary supplement formulated with amino acids, vitamins and nutrients that can help you boost metabolism, turn on the body’s fat burning furnace and curb food cravings. Use ThinMist half hour before each main meal. Its sub-lingual delivery ensures fast absorption into the bloodstream to prep the body. With a healthy diet and regular exercise, watch your weight go down gradually with the help of ThinMist. Click here to discover ThinMist now. Simply the best natural weight loss supplement. 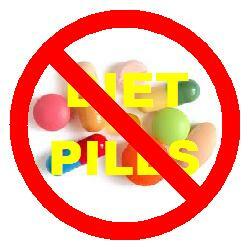 Taking diet pills can lead to vitamin deficiencies because they block the absorption of fat. As such, they prevent fat-soluble essential vitamins, like vitamins A, D, K and E, from being absorbed and stored in the body. Be aware that low levels of vitamins in the body can cause serious health issues; for example, lack of vitamin D has been linked to increased risk of death from cardiovascular disease, cognitive impairment in older adults and cancer. Fat-blocking diet pills also affect digestion. This causes stools to get oily or loose and leads to flatulence with discharge. Pain in the stomach area is a common complaint. In severe cases, diet pill consumption can even lead to organ damage. One of the hidden diet pill dangers is that since these pills can easily be found on the market, there is a general perception that they must be safe for use. While they are sold in stores, many diet pills do not actually have any approval from the FDA. Without FDA approval, a large percentage of diet pills that are sold as health supplements are unregulated. This means manufacturers need not bother to test ingredients for side effects nor state possible dangers that users are exposed to. So these weight loss pills can be unsafe — see an example FDA warning here. Out of this large number of unregulated pills, a minority are marketed with some kind of oversight and restrictions somewhere on their advertising claims. With limited information, consumers somehow perceive weight loss diet pills as a viable solution that may cause some disturbances and minor health issues only in isolated cases. Truth is, diet pills are known to have caused serious side effects in many cases. They aren’t suitable for weight loss and people should stay away from them. Choose Wisely: Safe or Easy Weight Loss? The list of side effects caused by diet pills should make anyone wonder and be more skeptical about taking these drugs to help them lose weight. The health risks far outweigh (no pun intended) any perceived benefits; in fact, they can bring about health conditions which are worse than the problem the pills claim to solve. Unfortunately, when thinking about losing weight, diet pills are usually the first option many people resort to because they are impatient and want easy weight loss. If only they’d consider that their health and well being are priceless, the choice between getting sick from diet pills and losing weight safely (albeit more gradually) would instantly be obvious. Always go for safe weight loss. What If I Fail to Lose Weight? When results do not show, it is time to rethink your diet and exercise plan, not give up and take to diet pills. Failing to lose weight should not cause you to capitulate and turn to bogus weigh loss solutions. If you really care about healthy and effective weight loss, you now know that diet pills definitely cannot bring you success in losing weight. Rather, you need to rely on good and effective weight loss methods, such as a well thought-out diet and a proper exercise program which combine to help your body burn unwanted fat.